If you are a music enthusiast and you’re shopping for the true “best” headphones under $100 in terms of quality and sound, I am sure that it will not be as easy as it sounds. There is a wide range of headphones on the market, with a mix of in-ear ear, on-ear, and over-the-ear models. It really makes you confused about what style best suits you. Each manufacturer offers their earbuds with different appealing features. And which earbud should be chosen depends on how you will use it. If your primary concern is good sound, you should spend extra money on headphones that emphasize audio quality. Otherwise, an in-ear fit can also be a good choice for you because it not only gives you much better bass, but cuts out the noise around you. If you take a lot of time at the gym, let’s choose a model with behind-the-ear pieces and a collar clip or an in-ear model. On the contrary, if you often stay at desk or walk around town to listen to music, you may go for a regular earbud. Here are the top 10 best headphones under $100 that sound really good for the money. The Koss PortaPro headphones will be the ideal companion for home theater enthusiasts and mobile audiophiles. They are a combination between a functional design with excellent 3D sound and a low price tag. Looking very fashionable, the Koss earbuds hit a home run with the PortaPros and start at a price of $31.52. The Monoprice 8323 Premium Hi-Fi DJ Style Over-the-Ear Pro Headphones are the best full-size, over-the-ear ones you can buy on the cheap. The headphones come with two cables: a skinny 50-inch-long one and a thicker 11.5-foot-long one. The padded ear cushions conform to your head shape better because the 8323 model’s earcups swivel from side to side and up and down. Even the Monoprice headphones are definitely more comfortable than other more expensive earbuds. Monoprice’s Premium Hi-Fi DJ Style Over-the-Ear Pro Headphones sell for just $21.59. Velodyne, a big name in subwoofers, has just introduced a sharp looking in-ear headphone called the vPulse. It is the first model of the company when venturing into the headphone market. The vPulse’s 43.5-inch-long cable is remarkably resistant, featuring convenient control of tracks, volume, playback, and even a button to enable users to answer their phones.The vPulse is available for $89, and comes in Black or Electric Blue. Despite the fact that there’s no integrated microphone for making cell phone calls, the Audio-Technica ATH-M30 headphones deliver natural sound with good bass as well as good build quality and detailed. The devices are also very comfortable and a bargain at around $60. Audio quality is the most important thing when looking earbuds, and the Bose IE2 headphones give one incredible sound. The device has improved sound and pleasantly full bass. There is protective carrying case included and “open” design has its appeal. It fits comfortably and securely. Bose IE2 is available for $99. The MA450 is a high spec earphone that combines RHA’s renowned sound quality with an inline remote and microphone for seamless control of your music library and calls. It has machined aluminum earpieces, fabric-covered wire and a three-year warranty. The sound of MA450 is actually too bright, so rock, pop, and hip-hop fans will like what they hear. The RHA MA450s sell for $49.95. The Grado SR80i headphones are one of the best models available for under $100 and best suited to home use. They are the slightly upgraded versions of the older SR80, which was made in Brooklyn. The Grados earbuds are a great budget pair which offer sparkling sound with tight bass. The devices also offer incredibly balanced, hi-fi-quality sound, starting at $99. The Sennheiser HD280 Pro headphones sound great on DVDs and all kinds of music such as pop, rock, jazz,etc. These headphones received an CNET Editors’ Choice Award years ago. We can see the goods of the devices, for example, headphones fold for compact storage, comfortable design and lightweight, sealed ear cups isolate wearer from ambient noise. The price is starting at $90.99. The Philips O’Neill The Stretch headphones are well designed, very comfortable. You can detach the headphone cord. 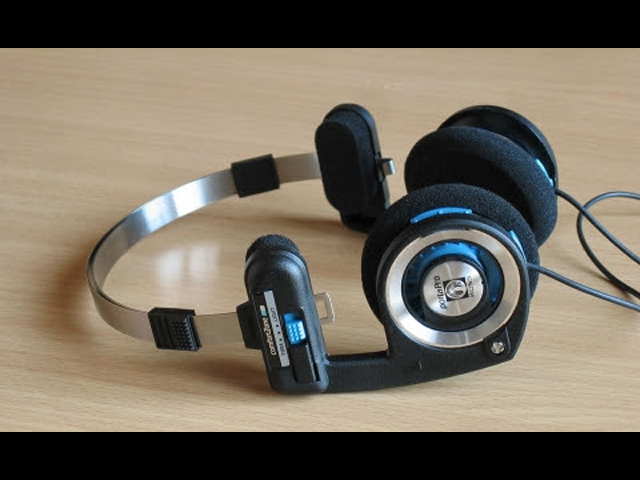 Although the devices may not have great sound and fold flat, they relatively lightweight for over-the-ear headphones. They’re also modestly priced at $33.82. The lightweight Sennheiser PX100-IIi headphones offer surprisingly great sound quality. They are another wise choice if you are looking for the earbuds style. Despite their lightweight structure, the Sennheiser PX100-IIi headphones improve on an earlier design with an in-line remote and reinforced hinges for extra durability. At a price of $50.86, these will make you feel like you are having your own concert experience at all times.